Some of my robotics projects take a rather long time do a full build. When I developed applications with Visual C++ on the host, using precompiled headers gave me a big boost in compilation speed. I was looking for the same in similar with GNU and gcc, and as expected: gcc does support precompiled headers too. And indeed, I was able to cut down compilation time by 30% :-). So this post is about how to use gcc with precompiled headers in Eclipse/CDT to give my builds a boost. When the compiler compiles a file (e.g. main.c), it includes all the header files. The total size of the header files can be very large, include other header files/etc. It can be thousands of source lines which then need to be processed by the compiler. And this happens for every single source file. Instead to compile the header files again and again, the idea is that the header files get pre-compiled and stored on disk. Later, when the compiler again tries to include that header file, it is already compiled and needs less compilation time. 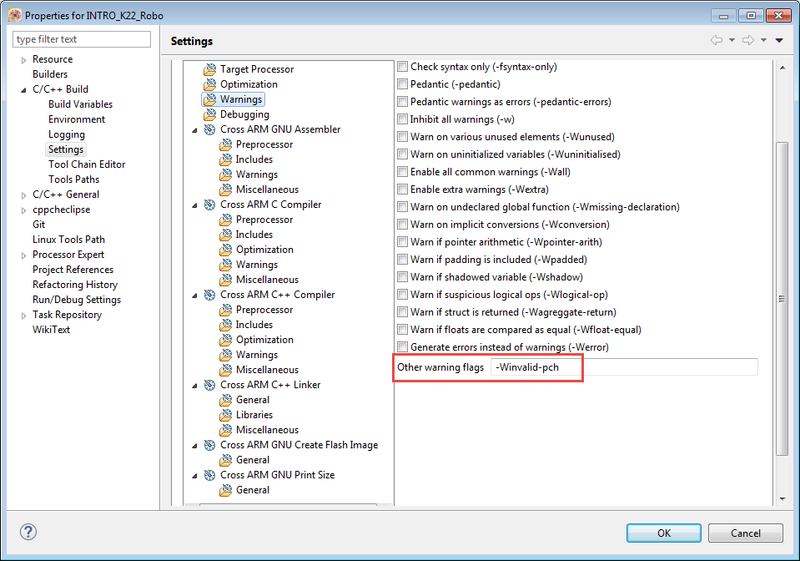 Identify the set of header files heavily used in the application. Put these header files into a single header file (e.g. “pch.c”). Include that header file (#include “pch.h”) in my application. 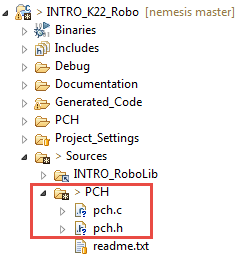 Generated a precompiled version (pch.h.gch) of that header file and place it into the same folder as “pch.h”. gcc will automatically use the precompiled header file to reduce compilation time. precompiled to reduce compilation time. Obvious candidates for precompilation are huge header files which are included many times in the application. 💡 Be free to use your own structure and names. I use ‘pch’ to show that it is about precompiled headers. 💡 Only put the header file includes into it, no other stuff. 💡 It is important that this configuration is using the same compiler/build settings! 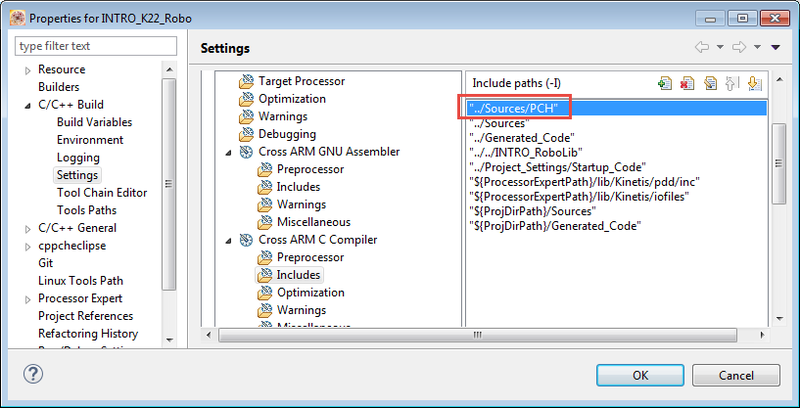 Right-Click on pch.c to specify special compiler options. Make sure to select the PCH configuration. I’m going to remove the options which are used to generate an object file. Instead, I modify the options to create the precompiled header file with the -x compiler option. -c -x c-header -o "../Sources/PCH/pch.h.gch"
c-header: generate precompiled header for C. If compiling in C++ mode, use c++-header instead. -o: Produce output file. Specify the path/filename for the precompiled header file. 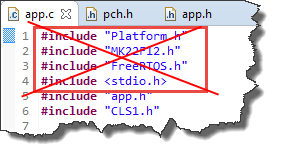 The produced output file has to have the same name as the header file “pch.h” with extension “.gch”. The output file has to placed in the same folder as the source header file (pch.h)! The PCH project will result in link error, as it cannot find pch.o object file. That’s expected and OK! All what I wanted is to create the precompiled header file. 💡 What I have found really confusing is that the precompiled header needs to be at the location of the normal header file. Yes, I can use the -I option to specify a folder having the precompiled header files. But if the compiler is falling back to use the normal header file (see Considerations below), then it does not find the normal header file any more. This is at least the case for GNU gcc 4.8 and 4.9. The compiler will now use pch.h if there is no precompiled header file present. But if there is header file with the same name, but with .gch extension present at the same location, it will use the precompiled header instead. It will tell me if something is wrong with the precompiled header (e.g. compiled with C, but now using in C++ mode). That way I can create and use precompiled header files as needed. One important thing with using precompiled header files is: they can get easily out of sync. Make sure that when any of the header files changes, the precompiled headers are re-build. ‘Clean’ won’t work with the approach described above: better delete the *.gch files. Another consideration is create the pre-compiled headers in a pre-build step, but I do that now manually. If using normal make files, it is easier to directly create the pre-compiled headers as part of the build. It must be the first include in the file. It must be the first preprocessing token/include in the file (comments are ok). Only one precompiled header file is used for a source file. #error "not using precompiled header file"
That way I easily can see where the standard header file is still used. Using precompiled headers in Eclipse/CDT does not work out-of-the-box: there is no magic switch like ‘use precompiled headers’. Instead it requires to a trick to generate the precompiled (.gch) header files. Using precompiled headers with gcc requires some careful considerations which include tweaking the source code to make sure that the precompiled headers are used. That extra effort does not pay off for small/simple projects. But if the project uses large and many include files, and is built often then investing in using precompiled headers properly will reduce the build time needed. It took me a while to get things working properly, but it has well paid off :-). 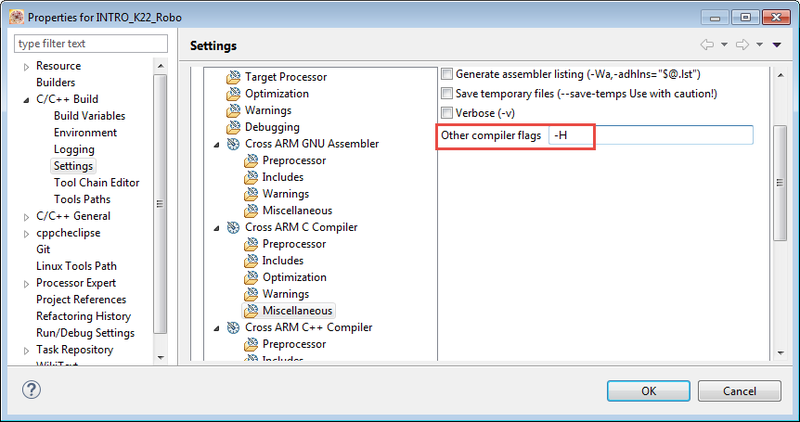 This entry was posted in Building, Eclipse, Embedded, gcc, Tips & Tricks and tagged arm gcc, Building, Eclipse, gnu gcc, open source projects, software, software project, technology, Tips&Tricks, tool chains by Erich Styger. Bookmark the permalink. Does this approach eliminate the ability to debug as well as the auto-completion feature of the IDE? no, that’s not affected at all.